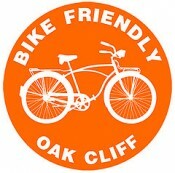 Bike Friendly Oak Cliff is on Instagram! Bike Friendly Oak Cliff is now on Instagram to share daily photos of local cycling advocacy issues, BFOC events, rides, and anything else that promotes cycling in our great city. We hand over the account every two weeks or so to a different BFOC board member to give you a fresh perspective on everything cycling related in Oak Cliff and the surrounding areas. ← BFOC and O.C. Film Festival Polaroid Bike Ride!